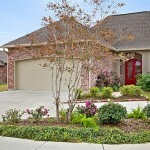 Beautiful 3 bedroom 3 bath home in the Shadows Lake subdivision. Wood floors throughout the home with large windows that allow tons of natural lighting. The best part about this home is that the master bedroom overlooks the lake with large french doors opening to the backyard. There is also an unfinished bonus room above the garage that would be great for a game room for kids or could be used as a fourth bedroom. The CoreLogic index of Baton Rouge home prices was down 4.2% in December, when compared with the previous year’s figures. This is the fifth month in a row the local index was down. That’s worse than the CoreLogic Home Price Index for Louisiana, which was down 3.5% for the month when compared with December 2009. Similarly, the national index was down by 5.46%, its fifth year-to-year drop. Mark Fleming, chief economist for CoreLogic, says despite the bumpy end to the year, the average annual HPI was unchanged in 2010. That compares with a 12.7% decline from 2008 to 2009. “Excess supply continues to drive prices downward, but the silver lining is that the rate of decline is decelerating,” he says. The drop in the Baton Rouge index came after a 3.2% decline in October. CoreLogic bases its indexes on public sale records and databases.